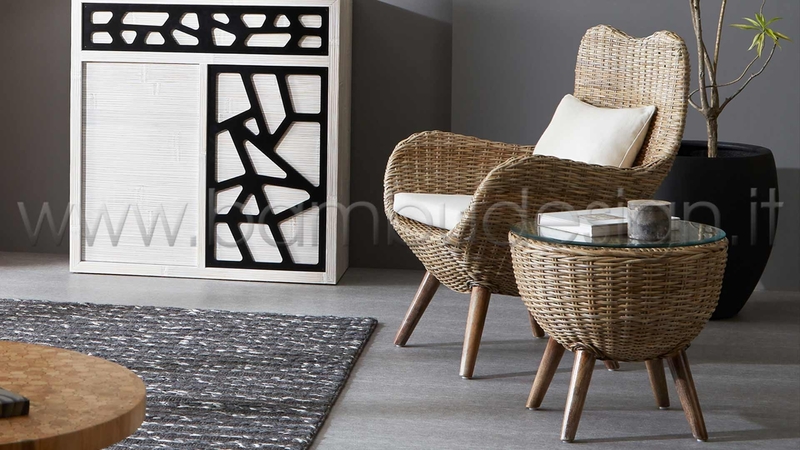 ZONA GIORNO DIVANI & POLTRONE POLTRONA IN RATTAN KUBU ANAK 76X85 H101 CM. IDEALE PER IL TUO SOGGIORNO, CAMERA DA LETTO, VERANDA COPERTA. DISPONIBILE NELLE TONALITA' 'GREY' NATURALE 76X85 H101 CM. IL RATTAN GRIGIO, O KUBU COME VIENE CHIAMATO IN INDONESIA, È RESISTENTE E FLESSIBILE. RAPPRESENTA UN OTTIMO MATERIALE PER INTRECCIO. MATURAZIONE DEL RATTAN E DIFFERENTI LOTTI D'IMPORTAZIONE.